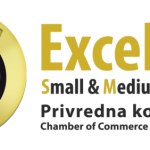 Chamber of commerce and industry of Serbia certifies that the company satisfies the criteria for certification. Certification basis is credit report and regular monitoring from COFACE Serbia credit reporting house. Following basic information about the company is verified. TE. ST. NEW COMPANY D.O.O.